Portugal has a close relation with Africa, not only because of its proximity with the black continent but specially thanks to the former Portuguese Colonies overseas. Not surprisingly, Portuguese food has some roots on African cuisine, sharing the love for spices and fruit on both sweet and savoury dishes. Banana breads are not traditional around here or at least not the American way and certainly not very popular across the country. It's not current to find banana bread in coffee shops or at people's places. Except when you have ripped bananas in your kitchen that cry for use, like often happens with me... then banana breads become overly popular. And what a success it usually is! I like banana bread a lot with a ball of vanilla ice cream. It always takes me to the seaside where my parents little apartment's porch makes the perfect place to eat a slice of it, facing the garden with jacarandas and hibiscus trees. For me, nothing could be more fitting to complete a summer day at the beach! This recipe has been pieced together from various other recipes over the years, adding and/or omitting some ingredients. It makes a huge cake in a large square pan or a couple of cakes using bread pans (like I used below). Preheat oven to 180ºC. In a large bowl beat the eggs with the muscavado and granulated sugar on medium speed until sugar has dissolved completely, about 2 minutes. Add butter, cream and olive oil, whisking all together. Slowly, mix in sifted flour with spices and baking powder. Add chopped banana(s). Get the pan(s) ready by spreading the caramel (use a brush, if you like), covering the bottom and sides throughly. Place banana's slices. Pour in the batter, carefully not to disturb the banana. Bake for 35-40 minutes ou until cooked through. Remove from oven. Allow the cake to cool slightly in the pan before removing it to the serving plate. NQN is holding a Banana Bread Bake off event - this is my entry for the banana bread bake off, hosted by Lorraine from Not Quite Nigella. Get ready for zillions of banana bread recipes! The roundup is now up! Go check out those beauties here and vote for your favourite! Oh, wow - this sounds fantastic! I just bought a bunch of bananas - hopefully they won't all get eaten too quickly! i can't make anything from bananas as they're gone as soon as they are on the benchtop! this looks really good! the portugese did colonize a lot of countries and we see their influences all over the place, Macau in the far east , Goa in India , Africa ...and so much more. We also owe a lot to them to the spice trade. thanks to them we have chille in india which was first only in south america. this cake looks just perfect ...like you said for a day at the beach. love the dark shiny glaze , makes it even more irresistible. I love banana bread! I bought a huge bunch today so maybe I'll have to do one as well some day. Yours looks great! your photos look fantastic...i have a slice please?? What a gorgeous-looking banana bread! So moist and delicious! This reminds me of a recipe for an upside down banana cake I have had bookmarked forever and just stumbled on again a few days ago. Beautiful! Congrats on your HHDD win! Can't wait to see what the next round is! I love this... 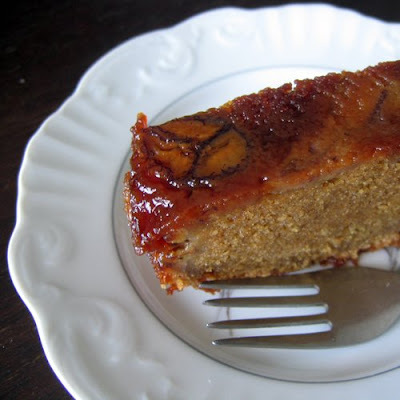 I love the olive oil, bananas, muscavado... rich and hearty and moist. Yum! We are banana bread fanatics in my family! We can't get enough. I love cinammon in banana bread and with the added combination of olive oil it must taste so good! This is one recipe I will be adding to my repetoire of banana bread recipes. Thanks for sharing. i think that that is literally the best-looking banana bread i've ever seen. Brazil used to be a Portuguese colony as well and much of our food culture comes from there. 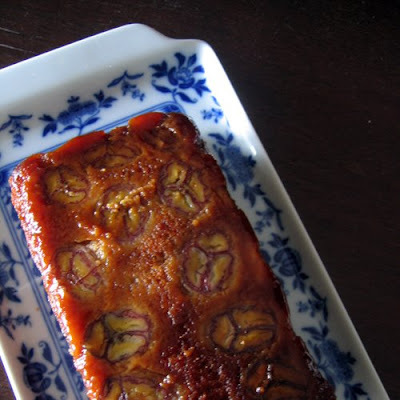 This is a beautiful and delicious banana bread, yum! Hay, hay it's choux again! This is a Flickr badge showing public photos and videos from Home Gourmets. Make your own badge here.